In 1964, he joined the voter-registration drives for African Americans in rural Mississippi—a potentially life-threatening decision for a white, homosexual, liberal, Jewish Yankee back then. Closer to home, he became North Carolina's—and some say, the South's—first openly gay elected official. He was appointed to fill an unexpired term on the Chapel Hill Town Council in 1981 and then won a seat in 1987. He was re-elected in 1991 but stepped down after pleading guilty to failing to pay his state income taxes—a mistake he took responsibility for and overcame, playing a prominent part in local grassroots politics in the years since. Through it all, Herzenberg maintained a Southern gentility that belied his New Jersey roots. He was a master at the art of the postcard, penning little notes of encouragement or thanks and signing them with a trademark flourish whenever the occasion called for it—which was often. He knew everyone on Franklin Street, not just at businesses like his beloved Pepper's Pizza, but also the folks for whom the street was home. Joe urged us to remember people like Samuel Phillips, one of the state's leading Radical Republicans, who prosecuted the KKK as a federal attorney during Reconstruction and was appointed Solicitor General by President Grant. And John Dunne, Patrick Cusick, and Quinton Baker, leaders of the local civil rights movement in the 1960’s. Their story is told in John Ehle’s long out of print book The Free Men, recently reissued in paperback, which documents the gripping events of this turbulent, too-often glossed over chapter in Chapel Hill’s past. Memorial shrine to Joe at Margaret's Cantina in Chapel Hill, November 2007. Photo by Ruby Sinreich. Excerpts from this post have also appeared in the Carrboro Citizen and Chapel Hill News. CHAPEL HILL -- Sitting in a county board of elections office in Mississippi in 1964, Joe Herzenberg got an early taste of grass-roots political activism. "I remember him telling me about how the local county boards of election would refuse to let them have copies of the voter registration rolls," said Mark Chilton, mayor of Carrboro and a longtime friend. So the volunteers for Freedom Summer, a voter-registration effort, sat and copied the lists. "Joe was one of the scriveners, if you will, for that project," Chilton said. 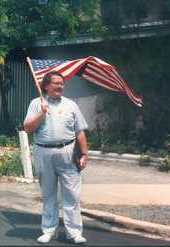 Herzenberg also walked through neighborhoods and encouraged people to register to vote. "He was a white gay Jewish Yankee who went to Mississippi to participate in the Mississippi Freedom Summer." Herzenberg died Sunday. He was 66. The first openly gay elected official in North Carolina, and some say in the South, he left an indelible mark on Chapel Hill and its politics, and mentored a generation of local politicians and activists. "He's part of the reason that Chapel Hill became my hometown," said Mark Kleinschmidt, a Town Council member. "You look around this community, you just see his fingerprints on everything that makes this community such a nice place to live." Herzenberg had been ill for several years, friend Kathie Young said. He died at UNC Hospitals of complications from diabetes, surrounded by friends and his rabbi. Young and others remember his insightful intellect and warm sense of humor. "We spent our life together being a family in an untraditional sense of the word," Young said. "He could be so cranky, such a curmudgeon, but the relationship we had was nothing but love." Commonly seen at Pepper's Pizza, Herzenberg loved food and literature, often giving friends books from his extensive library. His favorite meal was Sunday brunch at Crook's Corner, lawyer Matt Stiegler said. Several of Herzenberg's friends gathered there Sunday to celebrate his life. "There was a lot about Joe that was quirky. That I know of, he never owned a car," Stiegler said. "He sort of personally resented the idea of ever having to leave Chapel Hill." Herzenberg was born June 25, 1941. His father owned a drugstore in Franklin, N.J., where Herzenberg grew up, according to an obituary prepared by his friends. While a college student at Yale, he made the civil rights trip. "He didn't move to New York and make a lot of money and complain with his friends over cocktails about the plight of poor people in the South," Kleinschmidt said. "... He was an activist in the real sense of the word: He was active." Herzenberg moved to Chapel Hill to continue his studies. He first ran for Town Council in 1979, and though unsuccessful was appointed to fill a vacancy until 1981, his friends said. He campaigned persistently for election, finally winning in 1987. "Joe was a historian. He more than any of us was aware that his election was of historic significance, but that it was not the beginning of a revolution, not the end, but one small piece of a larger journey," said Mike Nelson, an Orange County commissioner who also is gay. "Really what it did for the rest of us was give us hope." Kleinschmidt called Herzenberg a personal hero to him as a young gay man thinking of entering politics. "Because of the legacy that he has left, I am fortunate enough to have a seat on the Chapel Hill Town Council," he said. Herzenberg's career as an elected official ended in 1993 after a tax scandal. Though he remained on the council for about a year after pleading guilty to not paying state taxes, colleagues asked him to resign. Faced with the threat of a recall election, he did so. "He was disappointed and embarrassed. But he didn't let [it] get him down, and he didn't stop being involved in his community," Nelson said. "I think that's a great tribute to him, that he kept going." Friends said Herzenberg's legacy includes not only work on lesbian and gay issues, but also for racial justice, affordable housing and the environment. Herzenberg is survived by a brother, Bob Herzenberg. He will be cremated and his ashes buried in New Jersey, Young said. Kathie Young & Joe, New Year’s Eve, 1978. In a spiffed-up, buttoned-down Chapel Hill some UNC graduates would hardly recognize, Joe Herzenberg was a touchstone. He earned a footnote in history as a Chapel Hill council member -- the first openly gay elected official in North Carolina and in the South. But for true Chapel Hillians, he symbolized what the town was really about: a place where a Jewish boy from New Jersey, a civil rights crusader, could make a life and never feel the need to leave. In fact, he seldom did. Once a year, he went to Rhode Island. But he told me he was always glad to get home, to get back to Franklin Street. He spent part of every day, in his big floppy hat, walking Chapel Hill's main drag, stopping to chat, waving at passers-by as if he were in a parade. If it's possible to be a moving fixture, he was it. Before I knew Herzenberg well, I would stop occasionally to offer him a ride, remembering that he didn't own a car. He always politely declined. I realized later that he was connecting with his public. When I was hired by The News & Observer to cover Orange County, Herzenberg was my ace in the hole. If I needed the background on a thorny issue (albeit with that lefty Herzenberg spin), I would call. If I needed sources, he would suggest some. If I needed help to sort through the baloney, he would oblige. Sometimes I would call Herzenberg before 9 a.m. (he was not an early riser) just to get his answering machine. "Leave messages for Joe Herzenberg, the American Civil Liberties Union, the Orange County Democratic Party, the so-and-so for such-and-such office campaign ... and Harriet Levy." He always called back. And he always had something interesting to say. An historian who never completed his dissertation, he read voraciously and kept up with the news, official and otherwise. Fifteen years before we learned about foot-tapping in a Minneapolis airport restroom, he urged me to write a book about closeted Republicans. He had a starter list. Herzenberg had friends of all ages, from the kids at Pepper's Pizza to the most esteemed Carolina deans. That's how he stayed so plugged in. If it was happening in Chapel Hill, he knew about it, and he had an opinion about it. That was my first clue something was wrong when I called him last week to hear his thoughts on Senate candidate Jim Neal, a Chapel Hill financier who is gay. Herzenberg told me he didn't know anything about Neal. I hadn't realized Herzenberg had been sick. I wrote him a letter the next day. It was still sitting on my desk when I got news of his death. In recent years, Herzenberg and I had exchanged cards at the holidays, but little more. When my sons were born, he surprised me by sending beautiful hardcover versions of such childhood favorites as "Harold and the Purple Crayon" and "The Little Engine That Could." That they are dog-eared now would make him happy, I think. Joe and Kathie Young on Halloween, 2005. Everyone knew Joe. Joe knew everyone. If ever there was a man about town, particularly downtown, Joe Herzenberg was the guy. He lived downtown and, it seemed that every day, he walked through it. He'd chat with the flower ladies, stop at Pepper's Pizza, grab a hamburger at Crook's Corner, talk to everyone as he made his way down Franklin Street. Herzenberg, who died over the weekend at the age of 66, was in some ways the antithesis of the average Chapel Hillian, whatever that may be. He was intentionally car-less and walked everywhere. His everyday costume was a combination of New York hipster and backwoods farmer. In the land of the svelte and athletic, he was anything but. But no one loved Chapel Hill more than he did, no one cared about Chapel Hill and its future more than Joe Herzenberg cared. Herzenberg will be recalled for being the first openly gay official in the state and one of the first anywhere, during a time when being gay was less accepted than it is now. He will probably most be remembered for his diligent service on the Chapel Hill Town Council beginning in the late 1980s and for how that service ended, as he was forced to resign when it became public that he had not paid his state income taxes for several years. But the scandal and his resignation did not diminish his love for his adopted hometown or his involvement in our civic affairs. Rather than hide in the corner, he admitted his indiscretions, apologized for them, and stayed involved in our affairs. He served on local boards and mentored young politicians. He continued to work for civil rights and for peace and justice. He continued to be, particularly on Franklin Street, a presence. A few years ago the Town Council created a committee to study the then-contentious idea of renaming Airport Road for the Rev. Martin Luther King Jr. It appointed officials to the committee as well as Airport Road residents and members of the local branch of the NAACP. 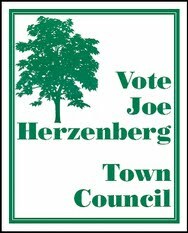 It also named to the committee Joe Herzenberg, as a "citizen-at-large." Joe Herzenberg, a longtime activist and the first openly gay elected official in North Carolina, died Sunday. He was 66. Herzenberg had been ill for several years, his friend Kathie Young told The [Raleigh] News & Observer. He died at the University of North Carolina Memorial Hospital in Chapel Hill of complications from diabetes. Herzenberg moved to Chapel Hill after graduating from Yale in the 1970s. He unsuccessfully ran for town council in 1979 but was appointed to a vacancy through 1981. He kept campaigning until he won in 1987. Mark Kleinschmidt, a current town council member, told The News & Observer that when he was a young gay man eyeing the political arena, he considered Herzenberg his personal hero. "He's part of the reason that Chapel Hill became my hometown," he said. "You look around this community, you just see his fingerprints on everything that makes this community such a nice place to live." Herzenberg left the town council in 1993 after neglecting to pay state taxes, a charge for which he pleaded guilty. Herzenberg is survived by a brother, Bob Herzenberg. He will be cremated, and his ashes will be buried in New Jersey, Young said. North Carolina's first openly gay elected official has died. Joe Herzenberg of Chapel Hill died Sunday at the age of 66. Friends say Herzenberg first ran for the Chapel Hill Town Council in 1979 and was appointed to a position there two years later. He finally won an election to the position in 1987. Mark Kleinschmidt is a Chapel Hill Town Council member who is also gay. He says Herzenberg is a personal hero whose legacy helped other gays enter and succeed in politics. When openly gay politician Ernie Fleming ran for Warren County commissioner last year, the local newspaper ran an editorial that warned of a "moral tsunami." But that did not prevent Fleming from being elected. For years, Joe Herzenberg was the only openly gay elected official in North Carolina, but after his Sunday death, many still follow the road he paved. "(Herzenberg) pried that door open and kept that open by himself in order to keep alive the promise of full participation," Chapel Hill Town Council member Mark Kleinschmidt said. "He made it possible to get enough people that it's never going to close again." In 1987 Herzenberg became the first openly gay elected official in the Carolinas, said Denis Dison, spokesman for Victory Fund, a national organization that helps get gay and lesbian candidates elected. Now there are at least six gay elected officials in the state, including Kleinschmidt and Orange County Commissioner Mike Nelson. Herzenberg died Sunday in Chapel Hill at age 66, but his impact extends beyond the town's borders. Julia Boseman, D-New Hanover, was the first openly gay state senator in North Carolina, and openly gay people also have been elected in and Cabarrus County and Boone. "We've seen people getting elected in areas that are not liberal bastions, and I think that's an indication that voters are willing to look beyond a voter's sexual orientation," said Ian Palmquist, executive director of Equality North Carolina. Two gay candidates are running in 2008 for statewide office in North Carolina. Jim Neal is a candidate for the U.S. Senate, and John Arrowood is running for the Court of Appeals. "Joe Herzenberg was an inspiration to everyone who is interested in making our society a better place to live," Neal stated in an e-mail. "He was one of those leaders who broke down barriers." But openly gay candidates sometimes still have difficulty getting voters to look past sexual orientation. Dison said 25 percent to 30 percent of voters will not vote for an openly gay candidate, according to a Victory Fund national survey. "There are still a lot of people who will immediately discount you when they learn of your sexual orientation," Dison said. "The people you see who do get elected typically run perfect campaigns." Still, the number of openly gay leaders continues to increase. Victory Fund is endorsing 71 gay candidates in 2007, including Carrboro alderman candidate Lydia Lavelle. Lavelle received financial support from Herzenberg for her campaign. Her partner, Alicia Stemper, said sexual orientation has not been an issue in the alderman race. "That she is able to mention that she has a partner and raising children without worrying that it will pull the campaign off message is such a luxury," Stemper said. Dison said that while some gay officials, work actively for equal rights, others show their colleagues that they are not the stereotype. "Being out is perhaps the most powerful statement that anyone can make because it forces people to look at you for who you are," he said. "It changes hearts and minds." Herzenberg encouraged Kleinschmidt to run for town council, and it became a ritual for interested candidates to speak to Herzenberg before filing. "He is a model which I try to emulate," Kleinschmidt said. "I think that's true for most every politician in Chapel Hill, straight or gay." Joe & Bill Strom at Joe's Stonewall party, 2004. Joe Herzenberg sent his friends hundreds of postcards. The longtime Chapel Hill resident sent the notes from his home and his travels: a photo on one side and on the back, a few funny observations or words of support. "He's the only person who sent me postcards," said Chapel Hill Town Council member Mark Kleinschmidt, a friend of Herzenberg's. "He would sometimes send postcards with just a simple thought or idea to remind us what was important. It was just this charming way of conveying a message." Friends said Monday they will miss Herzenberg and his postcards. The civil rights activist and the first openly gay elected official in the Carolinas died about 6 p.m. Sunday at UNC Hospitals. 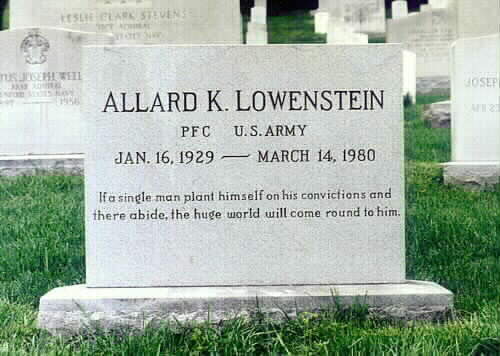 He was 66 years old. Herzenberg was born June 25, 1941, to Morris and Margaret Herzenberg, and grew up in New Jersey. He received a bachelor's degree from Yale University in 1963. After graduating, Herzenberg was one of the nearly 1,000 student volunteers who went to Mississippi to register black voters during Freedom Summer in 1964. Herzenberg then joined the faculty of Tougaloo College, an historically black university, where he served as chairman of the history department. The Delta Sigma Theta sorority named him an honorary member while he taught at Tougaloo. "He had fond memories of teaching there," Kleinschmidt said. "He thought of that as one of his great achievements in his life." Herzenberg came to Chapel Hill as a graduate student in history at UNC. In 1979, he led his first campaign for Chapel Hill Town Council and lost. Herzenberg was appointed to the seat vacated mid-term by Gerry Cohen, but failed to win re-election in 1981. He lost a third attempt for the council in 1983. Friends said they will remember his determination to fight for progressive issues. "He really set the bar for infusing our public policy decisions with progressive values and his commitment to civil rights and fairness and equality," Kleinschmidt said. "He found a role for those decisions in all that the town does." Orange County Commissioner Mike Nelson managed Herzenberg's first successful attempt in 1987. Nelson, who was the first openly gay elected Mayor of Carrboro before serving on the board of commissioners, was a student when he campaigned with Herzenberg. Nelson met Herzenberg in 1983 at the Henderson Street Bar and said it was exciting to be involved with the successful campaign. "Joe and our volunteers knocked on virtually every door in Chapel Hill," Nelson said. "We put together an extraordinary grassroots effort." On the council, Herzenberg was responsible for the creation of the town's greenway system and the enactment of the tree protection ordinance. "You look around Chapel Hill and you see his fingerprints on anything that's worth anything here," Kleinschmidt said. He also was a mentor to many UNC students who later went on to elected offices in Orange County. Kleinschmidt, Nelson and Carrboro Mayor Mark Chilton were supported by Herzenberg when they ran for office. "I remember how excited he was whenever I told him I wanted to pursue getting a seat on the council," Kleinschmidt said. "He taught me not just how to fight for the things I cared about, but also how to be effective with the people I was serving." Chilton was a student when he first ran for a spot on the Chapel Hill Town Council. He and Herzenberg both ran in 1991, and Chilton said Herzenberg became a key adviser. "Joe was a real important figure in Chapel Hill politics," Chilton said. "It seemed kind of strange, kind of unusual having someone like that supporting me." Chilton said he learned a lot working with Herzenberg after they both were elected - Herzenberg with the highest vote total ever in a council race up to that time. "Joe was somebody who was not afraid to stand up for the things that he believed in even if his point of view might be unpopular," Chilton said. "Joe and I were at the losing end of a couple of votes together over the years." The two were the sole dissenting votes when the council decided to establish new policies allowing public housing apartments to be searched for drugs. "We were quite vilified for that," Chilton said, who keeps a copy of an editorial cartoon that shows the two being burned at the stake together. Herzenberg resigned from the council in 1993, but continued to remain active in Chapel Hill, serving on several town boards, including the committee that worked to rename Airport Road in honor of Martin Luther King Jr. He was a longtime Democratic Party supporter, and served as a precinct captain for many years. On Election Days, Herzenberg would go around in the afternoon to convince people to vote. "He and others would go knocking on doors and all but drag them to the polls," Kleinschmidt said. "He didn't care if they were going to vote for him or not. At the end of the day, he appreciated people participating whether they agreed with him or not." The upcoming municipal elections mark the 20th anniversary of Herzenberg's election. Equality NC, which Herzenberg helped found, planned to honor him at its Equality Conference and Gala Saturday. Nelson now will share a personal remembrance during the gala. Herzenberg is survived by his brother Bobby; his sister-in-law, Debbie; his nephew, Michael; and his niece, Sarah. He was preceded in death by his brother David. A memorial service is being planned and likely will occur in the coming weeks. Friends and family have asked that in lieu of flowers, donations be made to the Interfaith Alliance or Equality NC PAC. Herzenberg's friends have taken to calling him an unofficial mayor of Franklin Street, recognizing the time he spent downtown meeting new and old friends. And, in typical fashion, Chilton said Herzenberg reached out to everyone downtown. "It wasn't just all the business owners and patrons he was friends with," Chilton said. "Joe knew all of the panhandlers by name. He really knew everyone." CHAPEL HILL -- Joe Herzenberg, one the first openly gay elected officials in the state, a political mentor to many and a former Town Council member, died Sunday at UNC Hospitals. Mr. Herzenberg had been suffering from serious health problems related to diabetes for about a decade and was hospitalized in a coma about a year ago. He recovered from the coma and seemed to be doing better when he had a downturn several weeks ago and was hospitalized again. His friends held a vigil at his hospital bed during his last days, and some of them were with him when he died. Mr. Herzenberg's time on the Chapel Hill Town Council from 1987 to 1993 was filled with highs and lows. His friends and supporters said he led conservation efforts, worked to preserve the historic district of Chapel Hill, built the greenway system, was instrumental in developing the tree ordinance and always fought for the civil rights and civil liberties for all people. Yet he resigned from the Town Council in 1993 when it became known that he had not filed his state tax returns from 1978 to 1992 or his intangible tax returns from 1986 to 1992. He resigned as election workers were close to validating a recall petition. Mark Kleinschmidt, a member of the Chapel Hill Town Council, was with Mr. Herzenberg and friends at the hospital several hours before he died on Sunday evening. "Yesterday we were all gathering. The Rabbi had come and gone through the end of life process for him, and we made a schedule when each person would come to be with him," Kleinschmidt said. Kleinschmidt went home and was scheduled to return later that night when he got a call about 6:15 p.m. Kleinschmidt rushed back to the hospital. "He was gone," he said. Carrboro Mayor Mark Chilton, the youngest person to be elected to office in North Carolina, served on the Chapel Hill Town Council with Mr. Herzenberg and also was with him during his last hours. Chilton, a student at UNC at the time, met Mr. Herzenberg as they both were running for two open seats on the Chapel Hill board. "I think Joe might have been the only person besides me that thought I could win in 1991," Chilton said. "He was somebody who really believed in me and helped give me a chance. "When we both won in 1991, him by a landslide and me by a fingernail, we worked very closely on the Town Council," Chilton said. "I learned a lot about how to do things from Joe." Mr. Herzenberg lived on Cobb Terrace for many years and walked downtown often, sometimes sitting in front of Pepper's Pizza, speaking to the many people he knew as they walked by. "He did cut an unusual profile," Chilton said with a laugh. "He was very recognizable, and he was always on foot." Mr. Herzenberg knew not only the store owners by name, but also the employees and the homeless people and panhandlers who hung out downtown, Chilton said. Kleinschmidt also was a student at UNC when he first met Mr. Herzenberg, he said. "Like many young people who are now involved in local issues, he was a very important part of helping me develop," Kleinschmidt said. "He was always so much more than a friend. He was my mentor. He was my teacher." Although Mr. Herzenberg lived in Chapel Hill and served on the Town Council there, he was very influential in Carrboro politics as well, said Carrboro Alderman Jacquelyn Gist. "If anybody doubts Joe's influence in Carrboro, our last three mayors were mentored by him, Ellie Kinnaird, Mike Nelson and Mark Chilton," Gist said. Staff writer Ginny Hoyle contributed to this report. Local activist Joe Herzenberg passed away at about 6 p.m. Sunday at UNC Hospitals. In 1987, Herzenberg was elected to the Chapel Hill Town Council, becoming North Carolina's first openly gay elected official and the first in the south. 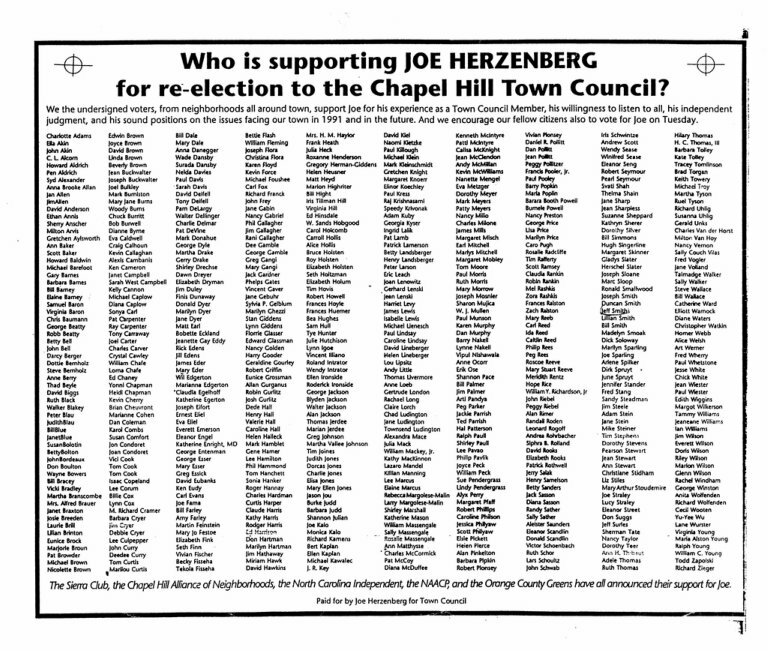 Mark Kleinschmidt, an openly-gay Chapel Hill town council member, along with several other local leaders, say they owe their political career to Herzenberg. 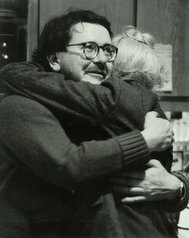 Kleinschmidt calls Herzenberg his hero. "Joe's one of the most special people in the world to me," Kleinschmidt said. "He was a mentor - not just in politics." The Equality NC Foundation will honor Joe Herzenberg at the Equality Conference & Gala on Saturday in celebration of the 20th anniversary of his 1987 election. He served on the Chapel Hill Town Council from 1987 to 1993. He was also a founder of Equality NC PAC, then NC Pride PAC, and served on that board for more than a decade. Since his 1987 election, Herzenberg served the town on several advisory boards. "You look around the community and see the things that make it a wonderful place to live - you see Joe in all of it," Kleinschmidt said. "Whether that's social politics, our greenways, our libraries, our downtown. Those things were hugely important to them. "Making sure Chapel Hill was a wonderful place to live and work was something he committed his life to." Joe Herzenberg, longtime Chapel Hill Town Council member, Democratic Party stalwart, Greenways champion and an astute historian of local politics died today from complications of diabetes. He left this world, we are told, surrounded by friends. Details of memorials to follow.